You’ll find all kindsa thangs in these posts as we move thru the months hopefully sparking some happy, healthy lifestyle inspiration inside! – old faves + stuff I just couldn’t imagine my life without! Hope you enjoy, find some inspiration or discover something new you didn’t know about before! 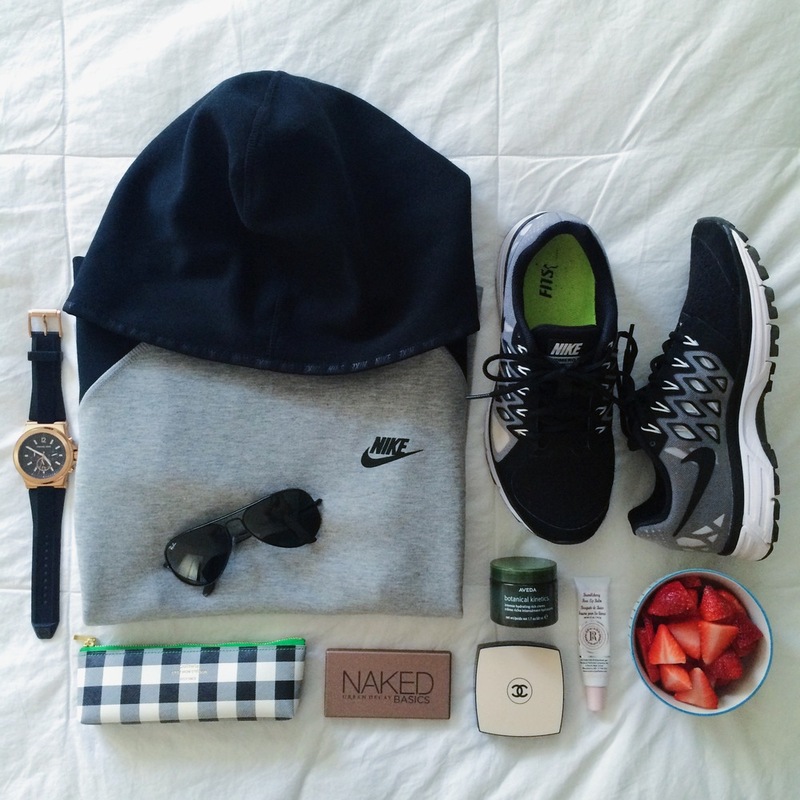 – MK Watch. Rubber Band + Rose Gold Face. Super old & one of my fave watches! – Delfonics Quittrie Tresor – Checked Pouch (available, here) This is THE perfect little pouch to toss my lipgloss in so I don’t have to go digging thru my purse! – This Urban Decay “Naked” compact of shadows of full of earthy neutrals that complement my olive complexion and really make my brown eyes pop. A must for all brown-eyed, brown-haired beauties! – Chanel Les Beiges Healthy Glow Bronzer. (available, here.) The only bronzer I have used for years. This would be a can’t-live-without thing! lol Especially throughout the winter when my face gets so pale! bleh … I doubly love this Bronzer b/c it has an SPF 0f 15 in it, as well. Pick your colour to match your complexion and you’ll instantly look lovely – a glowing, even complexion! – You can read my post on this amazing Aveda Botanical Kinetics: Intense Hydrating Creme, here. This has been my skin savior this winter. seriously, tho. – #EatPretty / Strawberries. One of my fave fruits, loaded with Vitamin C & fight off free-radicals to keep you young, vibrant & beautiful! My bum & I seriously can’t get enough of Xtend Barre. Its Monday and I’m still sore from Friday nights class. 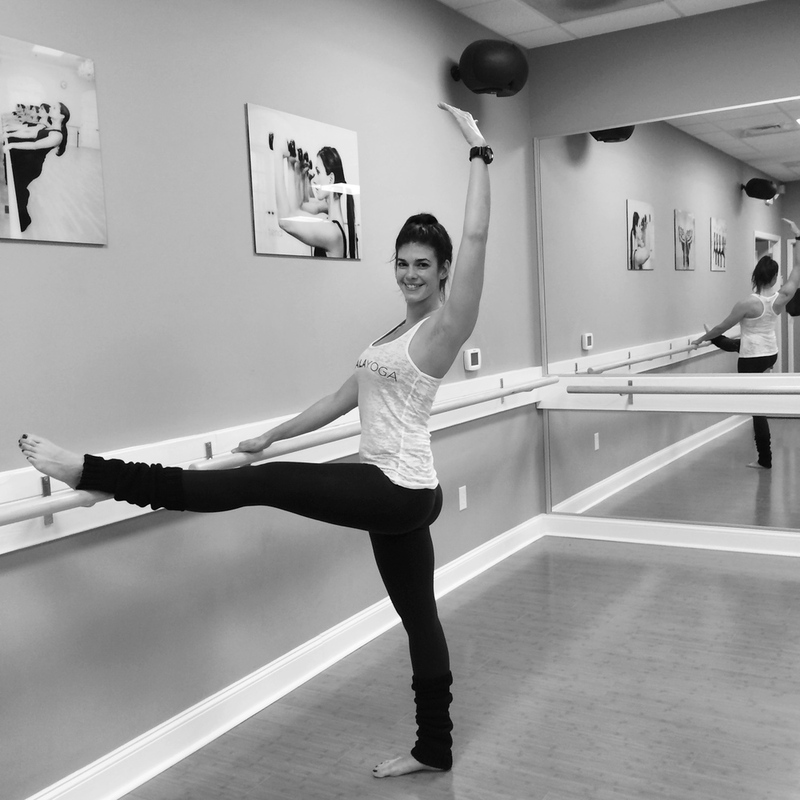 If your reading this and local here in CLT, check the schedule for Rachel — cool chick & teaches an incredible class! Local Love: @laurajamesjewelry LOVE her designs & baubles! Previous Post Happy March & C’mon Spring!!! Next Post Sunny & 70 degrees…we’ll take more Monday, please! !